1. Can Satan make us sin? b) bad and really bad. a) count on your death with Christ. 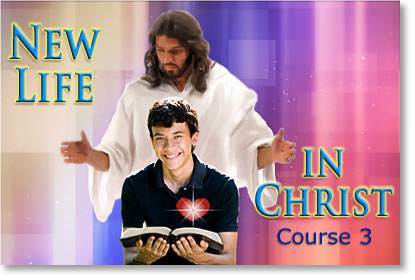 b) count on Christ's life in you. c) arm yourself with the Word of God. d) make no provision for the flesh. 5. Christ delivered us from the kingdom of darkness where sin reigns, and sin no longer has any right to rule over us. 6. How do we obtain our freedom from serving sin? a) By going to church every week and taking communion. b) making us not want to sin any more. a) our pastor and our church. b) the Word of God and prayer. 9. 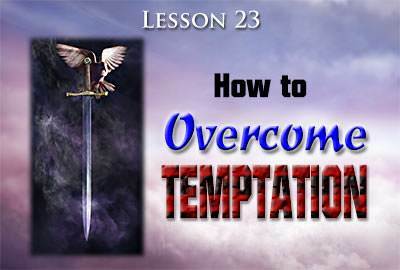 Which Bible verse gives us God's wonderful promise concerning temptation? 10. Are other people tempted with the same things that tempt you?